Hatiora gaertneri grows on trees (epiphytic) or less often rocks (lithophytic) in tropical rain forests. With maturity, it develops into a branching pendant leafless shrub with a woody base. The stems are made up of segments, most of which are flattened. Younger segments are dullish green, up to 2.8 inches (7 cm) long and up to 1 inch (2.5 cm) wide, with small notches on the margins. Flowers form from areoles at the ends of the stems. 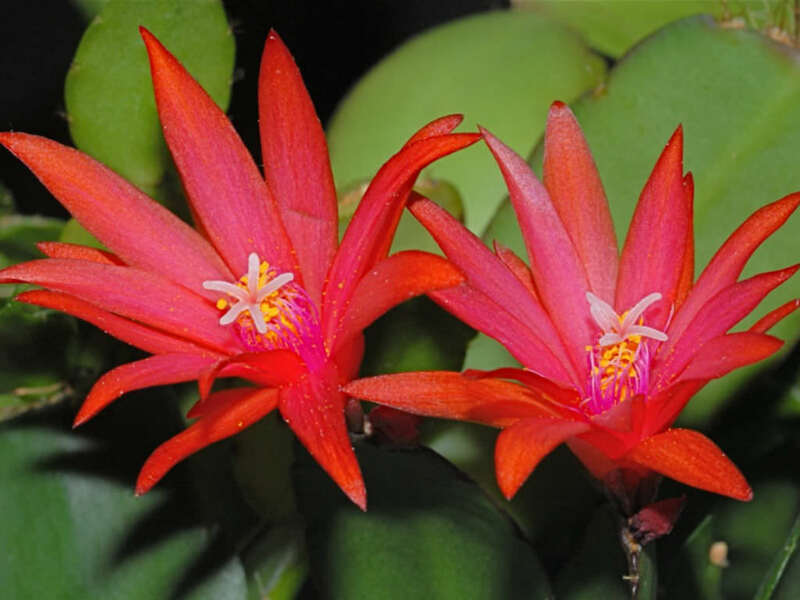 These are scarlet in colour, up to 2 inches (5 cm) long, radially symmetrical, opening to a funnel shape with a maximum diameter of up to 3 inches (7.5 cm). 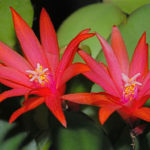 These plants are easy to grow and are often passed down through the generations. 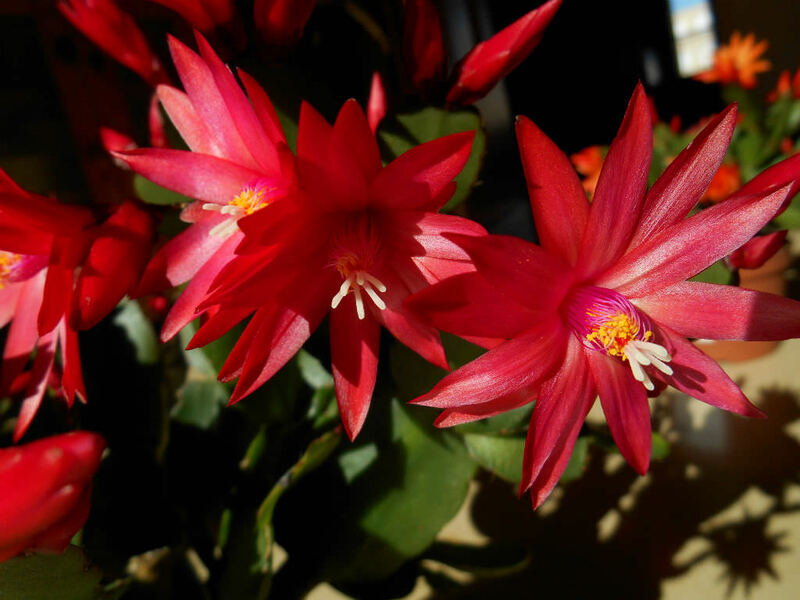 With Holiday Cactus, the million-dollar question isn’t how to grow it, but how to make it bloom. 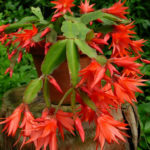 With a little extra attention during the fall months, you can have your plants blooming for the holidays. 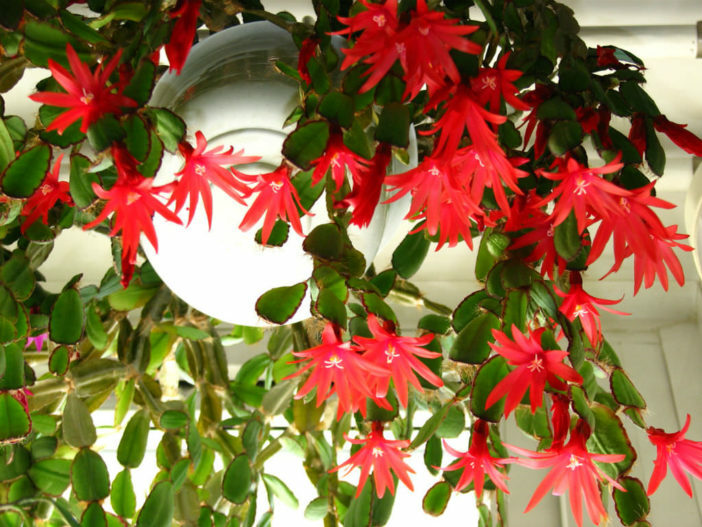 Don’t expose these plants to freezing temperatures! Despite their love of cooler temperatures, they are still tropical plants that won’t withstand freezing conditions. They like about 50-60% humidity, which can be achieved using a pebble tray. 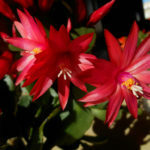 Never place your Holiday Cactus near a heat register, exterior door, or drafty window, and keep it out of burning sunlight… – See more at: How to Grow and Care for Holiday Cactus. 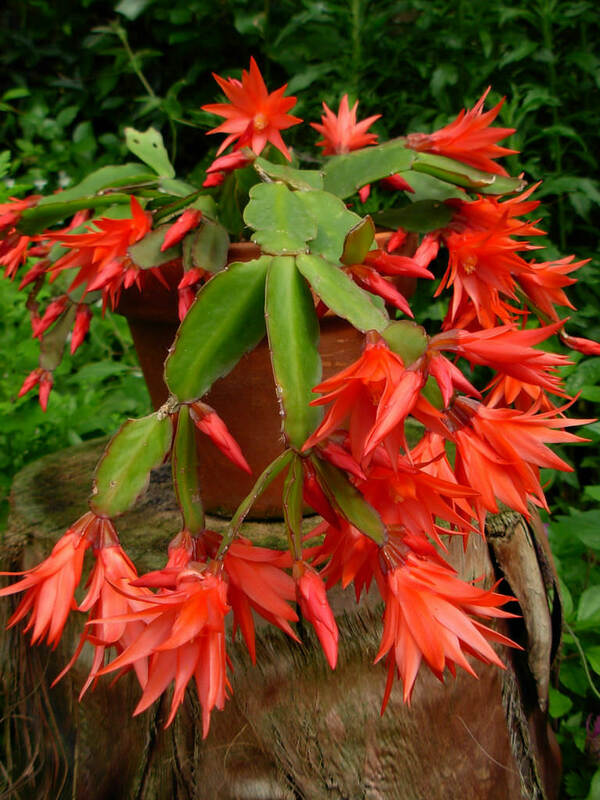 Native to the southeastern Brazil.